For over twenty years Executive Craftsman has been remodeling homes increasing the value of homes in Fairfield County, CT. Today Executive Craftsman is the home builder of choice for residents in Fairfield County, CT. The owners of Executive Craftsman, Steve Lanefski and Johel Solano have spent most of their lives bringing quality living experiences to their clients. They are passionate about turning their clients’ dreams and ideas into reality. 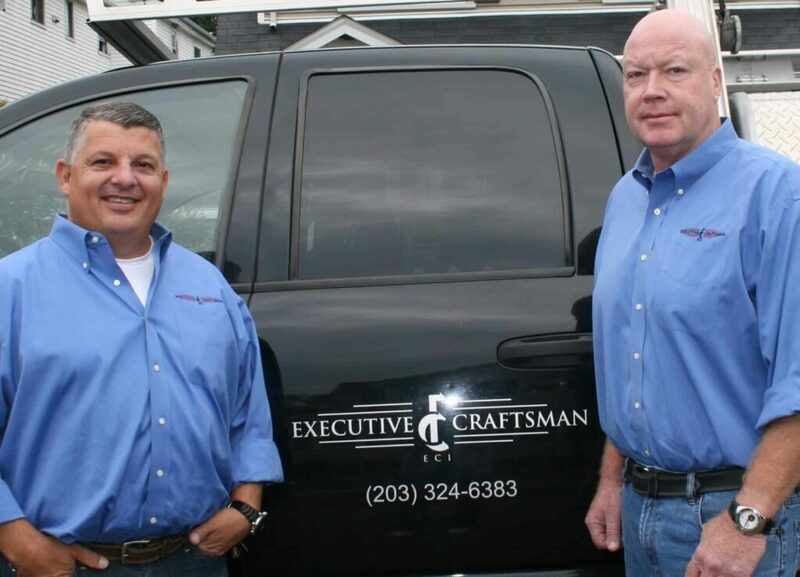 After completing over 1,000 home remodeling projects over the last 30 years, Johel and Steve finally joined forces and became partners at Executive Craftsman based in Fairfield County CT. In addition to their years of experience and their passion for creating quality living spaces for their clients, their partnership has allowed them to take their customer service to higher levels. They now have the resources to meet all of the home remodeling needs… from the initial design and planning all the way through to the completion of the job in a timely manner. “We are proud of the home improvements that we have been able to provide for the homeowners in Fairfield County CT and we look forward to continuing our tradition of honesty, integrity and value for many years to come”. Give Steve Lanefski or Johel Solano a call at 203.324.6383 to discuss your project. Or email them directly at steve@executivecraftsman.com or johel@executivecraftsman.com. Executive Craftsman is dedicated to maintaining and upgrading the exterior and interior of your home. If you would like more information please give Executive Craftsman a call at 203.324.6383 or email us. © 2018 by Executive Craftsman, Inc.